Another way to bond is to look your baby right in the eye and speak to them. They will soon be able to recreate your expressions and coo back to you. This is their first attempt at communication besides crying, so it is crucial for their development. Question: Are there any newborn sleep patterns I should be aware of? 1. Try not to wake them up too much during nighttime feedings and diaper changes. 2. Don’t automatically go to them when they cry during the night. Wait a minute to see if they can calm themselves down first. 3. Adjust the light settings so they can differentiate between night and day. 4. Stay active during the day so he will remain awake and become more tired at night. Question: How often should I bathe my newborn? 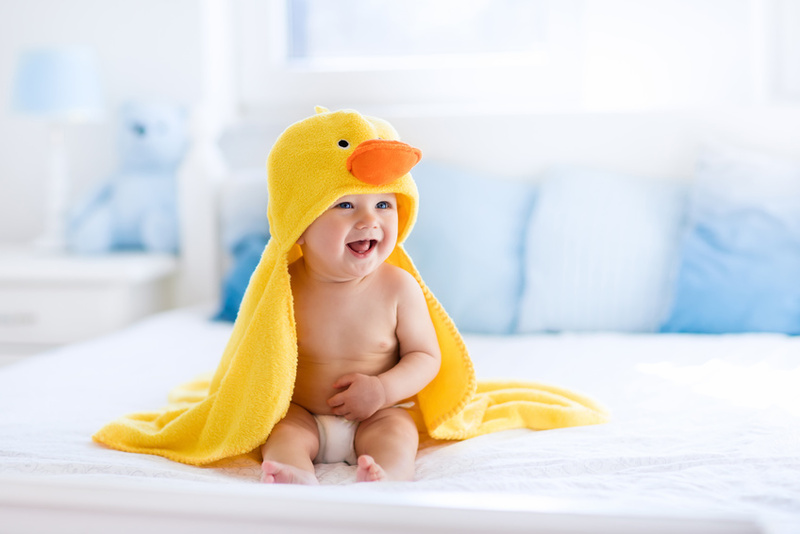 Answer: Newborns only need about one bath a week, and anything more will dry out their skin. Simply use baby wipes in between baths, or a warm cloth. After a few days, you will get used to daily life with a newborn. Stay calm, and cherish these moments!